Simply stated, Kundalini Yoga makes everything you do better. I feel blessed to share it with others as a Teacher and now through Kundalink.com with the products that we sell. Kundalink aims to raise the bar on quality products for a quality life. Blogalini was born in order to tell everyone about it. WHY ARE YOU WEARING A HEADCOVERING? Do you know how many times I get asked this? A LOT! Because I make, sell them AND I wear them. Headcoverings (in particular, turbans) have been around forever. I decide to do a little research on this subject because Kundalini Yoga and head coverings are a match made in heaven...as it were. I can't cover up my head because I get messages from the universe". connection between me and the heavens above. Kundalini Yoga raises a lot of energy. find that it helps keep things "under wraps". 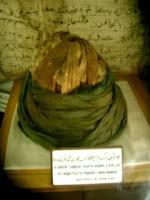 Many cultures have utilized turbans and head coverings since the beginning of time. The Jews, whose religious and cultural orthodoxy employs many varieties of head coverings for both women and men, have their roots in turbans. To take a rather simple example: the daily prayers recited by observant Jews include a benediction praising God "Who crowns Israel with glory." Though now the common practice is to recite this blessing in the synagogue, the original custom was to say it as one was getting dressed.The Talmud says clearly that one was to say it while wrapping the turban around one's head. This is a picture of a Jew from Yemen....a country surrounded by Muslims both in the south (Africa) and in the north (Saudi Arabia). Check out his cool turban. Since the 19th century in North America the only religious group identified with the wearing of a turban is the Sikhs. To American Sikhs as well as Sikhs all over the world, the wearing of a turban is a sacred act. The tenth and last Sikh Guru, Guru Gobind Singh (1666-1708), instructed the Sikhs, just as Moses instructed the Israelites, to wear their God-given, unshorn hair under a turban, and they have sacrificed their lives to protect its honor. Hair is an integral part of the human body created by God and Sikhism calls for its preservation as it is regarded as a symbol of saintliness. 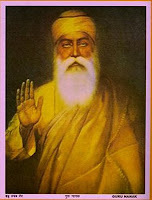 Guru Nanak started the practice of keeping hair unshorn because keeping it in a natural state is regarded as living in harmony with the will of God, and is a symbol of the Sikh faith. The Sikhs are not the only group that keeps their hair uncut and natural. Here are some others who practice or have practiced letting their hair grow to its natural length. Coptic Christian Monks, Sufi Saints, Native Americans, the Nazarites, Hasidic Jews, Rastafarians, the Samurai, the Han Chinese, Lord Ram, Lord Shiva, Jesus, Orthodox Christians, Samson, Sarathustra, Prophet Samuel, Siddhartha, St. John the Baptist, and basically all Ascetics, Sadhus, and Holy Men. Yogi Bhajan said that the HAIR was the first techinique to raise the Kundalini energy. When the hair is at its natural length and coiled over the anterior fontanel for men or the posterior fontanel for women, it draws pranic energy into the spine. The force of the downward positive energy causes the Kundalini energy to rise up for balance. This is why you always find grace and calmness in a person who has never cut their hair from birth. 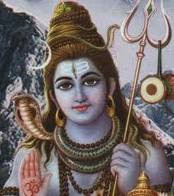 In fact the word "kundalini" comes from the word "kundal" which means a lock of the beloveds' hair. The turban is part of "the uniform" because it has immense spiritual and temporal significance. Not only is it a method of covering the hair and keeping it in place, wearing a turban symbolizes sovereignty, dedication, self-respect, courage and piety. All practicing Sikhs, as well as other turban wearing people wear the turban out of love and as a mark of commitment to the faith. "The turban is a frontier between faith and unbelief." "My community shall not fall away so long as they wear turban." "At the day of the judgment, a man shall receive a light for each turn of the turban round his head." "Wear turban, for thus you will gain in generosity." "Wear the turban and thus distinguish yourselves from the peoples who came before you." 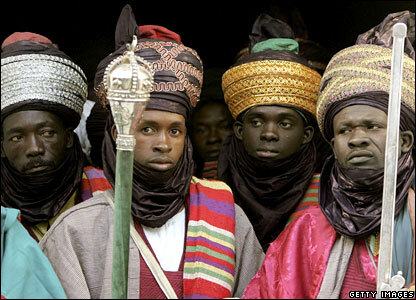 With the rise of Islam, the turban came to be considered the "crown of the Arabs" and the "badge of Islam." The Jews of Arab lands, with the exception of the Yemenites, finally had to give up the wearing of the turban and adopt the wearing of the yarmulke or kippah to cover their heads. It is required in Jewish law that the head be covered during prayer. The Talmud says that the purpose of wearing a kippah is to remind us of God, who is the Higher Authority "above us"
The Talmud states that external actions create internal awareness; wearing a symbolic, tangible "something above us" reinforces that idea that God is always watching. The kippah is a means to draw out one's inner sense of respect for God. It's easy to remember God while at the Synagogue, Gurdwara, Mosque, or Church, but a higher consciousness is meant to pervade in all aspects of our lives -- how we treat others, how we conduct business, and how we interpret world events. Appropriately, the Yiddish word for head covering, "yarmulke," comes from the Aramaic, yira malka, which means "awe of the King." In general it seems that the turban was viewed as the distinctive mark of scholars, holy men and women, and teachers who distinguished themselves with this symbol of special piety. Many cultures, and not just the Sikhs, Muslims and Jews cover their heads...and turbans are just one of many kinds of headcoverings. Now, regarding the wearing of a headcovering as a Kundalini Yoga student, that in itself is not required. Yogi Bhajan never insisted that his students cover their heads in class although it is mandatory in White Tantric Yoga. The case is quite different as a teacher of Kundalini Yoga; it is necessary that we cover our heads when we teach for the reasons mentioned above. If you are as fascinated with this subject as I am, you will appreciate the blog, http://thoseheadcoverings.blogspot.com . As a manufacturer of headcoverings, and in particular, an informal natural fiber turban which I call a Kundawrap© and a natural fiber cap which I call a Kundabini©, I am concerned with the quality and the intent of making these products primarily for the Kundalini Yoga community. Of course, anyone can wear them, but I am a practioner and teacher of Kundalini Yoga and this is my target audience. I have found so many similarities in so many cultures with regard to the covering of the head and the growing of the hair that I think it is a lifestyle choice worth practicing and providing for. My main concern has been to offer a headcovering that made students and teachers comfortable with the idea, as well as provide them with easy instructions for adapting this practice. Both products are completely washable and retain their shape because they are made of jersey and always come back to form after washing. They are sized so that a comfortable and reasonably sized turban can be achieved with minimal amount of preparation and labor. I'm not making light of the beautiful art of tying a turban...but many people feel intimidated by the craft of it and this is a user friendly solution to tying one on! The Kundabini© is made in such a way that it imitates the cranial pressure of a turban and is a perfect sadhana and sleeping cap in addition to wearing them in or in front of class. Many people like to wear them in yoga class because they always look good and they rarely come off...even after rigorous yoga exercises! Check out the HEADCOVERINGS page on the Kundalink website. wonderful! thanks so much for the answers to many questions I've had. Sat Nam!